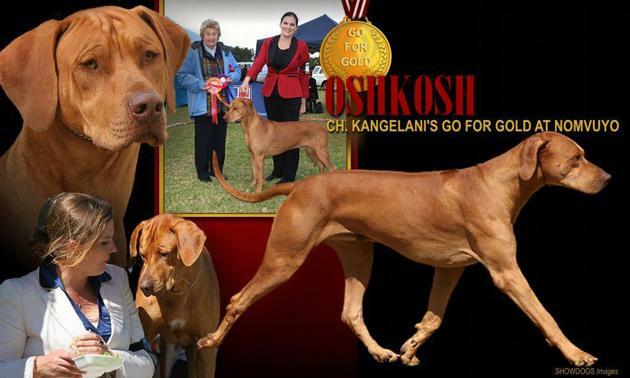 Friday at the FCI Africa show in Johannesburg, BISS BIS CH Kangelani's Go For Gold of Nomvuyo wins the dog CACIB, Best of Breed and Best in GROUP(group six)!! Yesterday at the Transvaal Kennel Club BISS BIS CH Kangelani's Go For Gold of Nomvuyo goes Best Of Brees again!! Thanzi daughter MinjimbaRidge Diamonds Are Forever of Nomvuyo (IMP SWEDEN) takes the CC and his son MinjimbaRidge Diamonds For You of Nomvuyo (IMP SWEDEN) won best junior amd Best junior in group! Big congratulations to all concerned! !